Tá na páistí go léir ag súil go mór leis an Nollaig. Táimid ag foghlaim amhráin agus dánta bainteach leis an Nollaig agus beimid á gcanadh do na tuismitheoirí ag Ceolchoirm na Nollag ar an 20ú lá sa halla GAA ag a 12:30. Tá rang Richard chun seó a dhéanamh ar an lá chéanna sa scoil ag a 10:30, tá fáilte riomh na tuistí go léir! The children are all looking forward to Christmas. We have been learning lots of new Christmas songs and poems and will perform them at our Christmas concert on Wednesday the 20th in the GAA hall at 12:30. Richard’s class will also put on a performance on the same day at 10:30 in the school. All parents are very welcome to attend! Rinne na páistí Cártaí Nollag álainn agus tá siad á ndíol againn ar scoil. €8 an paicéad nó (2x) €15. Beimid ag úsáid an t-airgead chun áiseanna nua a cheannach dos na ranganna ar fad. The children have all contributed to this year’s school Christmas cards and they are now on sale in the school for €8 per pack or 2 packs for €15. All monies raised will be used to buy new resources for all classrooms. Ar an 21ú lá beidh na páistí ó Rang Aisling, Deirdre agus Richard ag dul ar cuairt chuig Daidí na Nollag san Ionad Siopadóireachta. 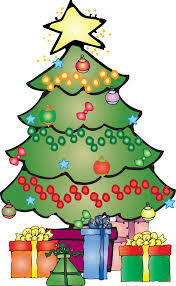 Aisling, Deirdre and Richard’s classes will visit Santa’s Grotto in the Town Centre on Thursday the 21st of December. Money raised by the Parent’s Council will fund this outing. Táimid ag súil go mór leis! Ghlac na páiste ar fad páirt sa Tionscnamh; Ár dTeanga Gaeilge, ár gCultúr, bunaithe ar thabhacht cultúra ag baint le 1916. Bhuaigh siad duais €125 don scoil . Maith sibh go léir! All classes took part in the project; Irish Language and Culture as part of National Creative Ireland 1916 Legacy Programme. The children won €125 in prizes for the school. Well done to you all! Beidh an scoil Dúnta ar an 18ú de Mí Eanair le haghaidh Lá Treánáil. The school will be closed on Thursday January the 18th 2018 for Teacher’s in-service training day. Beidh an scoil ag Dúnadh ar an 22ú/12/’17 ag a 12 a chlog. 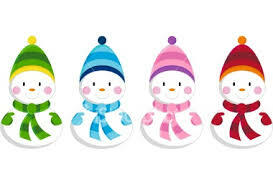 School will finish at 12pm on Friday the 22nd of December and will re-open on Monday the 8th of January 2018. Míle Buíochas as bhúr dtacaíocht agus gcomh- oibriú i rith 2017. Thank you all for your continued suppport and co-operation throughout 2017. 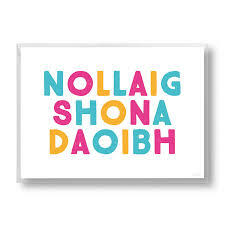 Nollaig Shona agus athbhliain faoi shéan is faoi mhaise daoibh go léir! Wishing you all a very Happy Christmas and a peaceful new year!